Major Matthew Broderick marries Miss Jennifer Schuh! Home / All / Major Matthew Broderick marries Miss Jennifer Schuh! 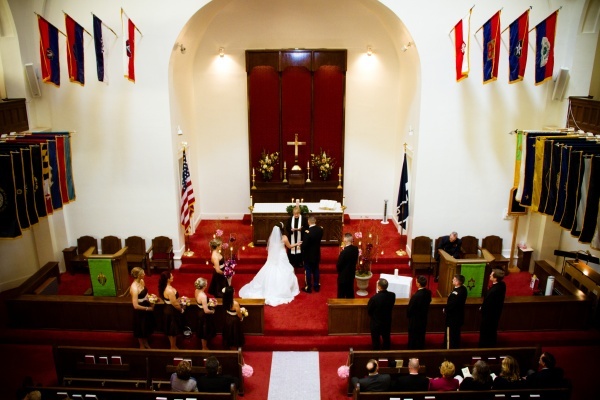 Jeni and Matt, a sweet couple, pronounced their love for one another on Oct. 23, 2010 at the Ft. Sam Houston Main Post chapel. It was a touching ceremony that was preformed by Jeni’s Aunt Val, in fact all of Jeni’s family was involved in her special day. The bridesmaids colorful bouquets stood out against shimmering fall dresses. The pinks and purples were just amazing. The reception was heal at the Cool Cafe’ on the San Antonio river, what a beautiful place. There were huge glowing chandlers and a spectacular view of the riverwalk. If fact the bride and groom shared their first piece of cake to applause of a passing riverboat! In the end this was an event to remember; beautiful, fun and full of love. Congratulations to Mr and Mrs. Broderick, we wish you both many years of love!